I just recently got into Last.fm due to the fact that the new Xbox 360 Dashboard Update now includes the ability to stream Last.fm content. 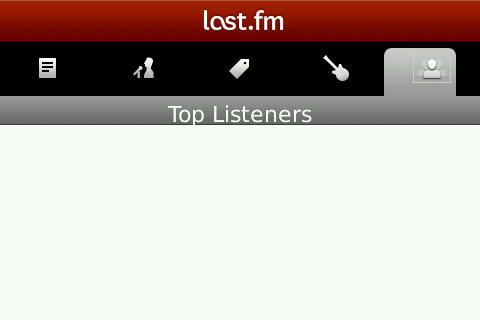 It seems to be a great service with lots of variety in music so I was quite pleased and surprised when they released their Last.fm BlackBerry app today. 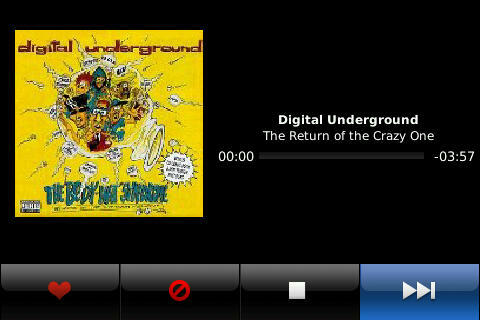 I quickly installed it to my BlackBerry Bold 9000 to see how this app compared to similar apps like Pandora Radio and Slacker Radio. First off, I tried going directly to http://www.last.fm/group/Last.fm+BlackBerry to download the app, but it won’t let you. It is just a Group page. Instead, you will have to go to BlackBerry AppWorld link here http://appworld.blackberry.com/webstore/content/1052 to download it. If you notice, it only has a 2/5 start rating. This wasn’t too encouraging for me as similar apps Pandora and Slacker have at least a 4/5 star rating. 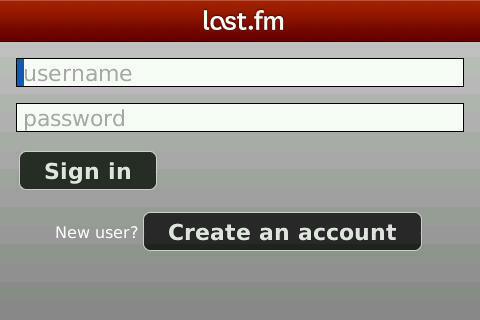 I went ahead a tried it anyways because I really wanted a Last.fm app on my BlackBerry. This is the very first screen that appears when starting up the app. Pretty simple login screen. After logging in, it brings up your profile image as well as”Your Stations.” This is pretty bare bones as your only 3 options are above. Clicking the “Start a New Station” button brings up a search function where you can type in an artist you are looking for.The results are stations that contain anything related to the artist. You can also search by tags or by user. 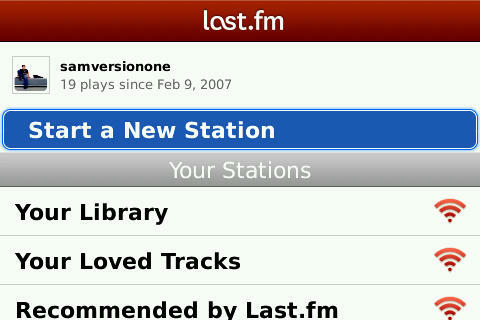 Clicking on a station takes you directly into the Last.fm media player. It is a very basic media player. Pressing on the BlackBerry button in this screen only shows the option to close the screen or show info. This is the info screen. It is arranged into tabs. The first tab basically shows an artist’s bio. There should be a profile picture associated with it but for every one I tried, I could not ever get an image to show up. This is the second tab that shows a list of similar artists. Clicking on any artist only just brings up the media player again and pushes your directly back into another song. This is the third tab that shows all tags associated with this artist. Clicking on any tag also only just brings up the media player again and pushes your directly back into another song. No browsing options at all. This is very annoying. The forth tab brings up a list of upcoming events that this artist has scheduled. Nice option to have if you want to follow where the artist will be next. And this is the fifth and final tab. I’m guessing this is suppose to show what other users listen to this station but I wouldn’t know. Nothing ever showed up here. It’s basically a blank useless tab. That’s it. No other screens besides that. 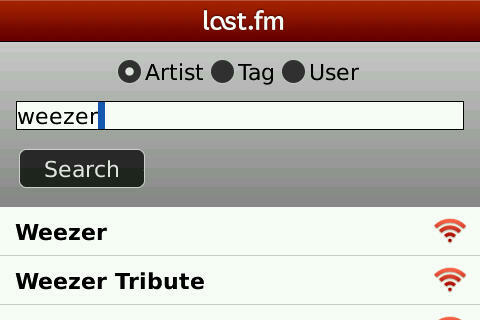 It is one of the most bare music streaming apps that I have come across on the BlackBerry. This isn’t even really a version 1.0.0 as when you download it, it is 1.1.1. That means that they have had time to test and/or at least improve upon any missing functions. This surely doesn’t seem to be the case at all. This app really looks more like an alpha/beta app then anything. It shouldn’t even really have been released yet. There are many problems with this app. First, the media player. Music loads very slowly. I’m on a pretty decent 3G connection here and have had no problems streaming from Pandora or Slacker but with Last.fm, it takes more then a minute sometimes before anything starts to play. By then, I don’t even want to listen to anything anymore and want to just shut the program down. Second, I really wish it wouldn’t just throw me into the media player when browsing through the “Similar Artists” and “Tags” tabs. I would have much rather seen another screen that allowed me to see a list of channels pertaining to the artist or the tags. As is, this app is very craptastic. The potential is there, but not with this app. 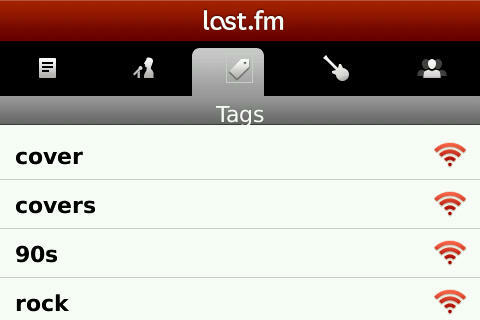 The Last.fm app needs some serious work before I would even give it another chance and before I would ever think about replacing Pandora which is my go to streaming radio app right now on my BlackBerry. This is really a shame because their website is so good and their Xbox 360 Channel on the Live dashboard is so fantastic. 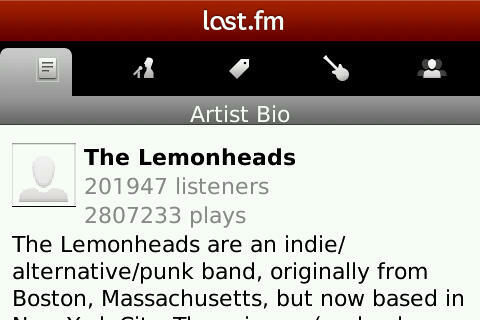 I really hope Last.fm does something major with version 2.0.0. My recommendation, don’t even bother downloading this app. 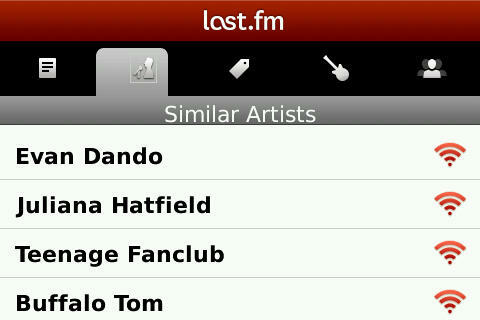 Disclaimer: I have not been paid or asked to do a review for Last.fm. This review is done by myself and to inform those of what the app is capable of. 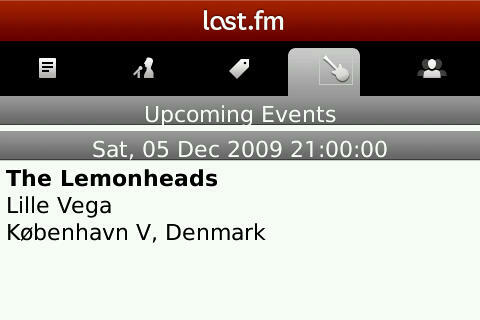 I have in no way, shape of form been contacted by Last.fm prior to this review.